Ships today if you order in the next 9 hours 44 minutes. Your immune system has quite the complex and important function! This organ system in your body maintains healthy skin, mood, energy, and sense of well-being. If your immune system needs a boost, try this supplement. 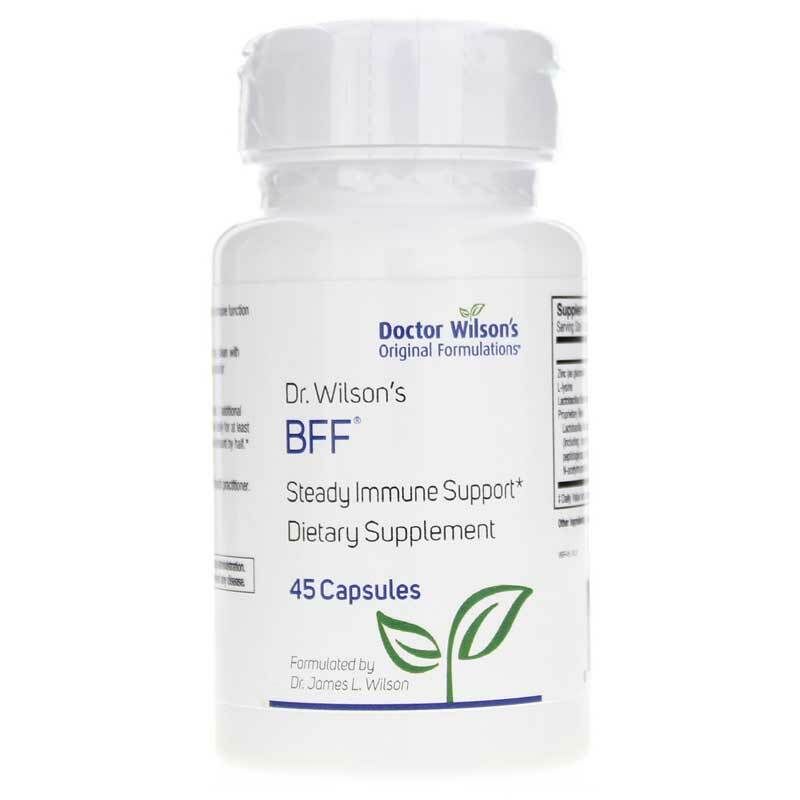 BFF (formerly Blister Free Forever) by Dr. Wilson's is designed to support and help vitalize the immune system over time - plus it may also lessen the frequency of cold sores or fever blisters. 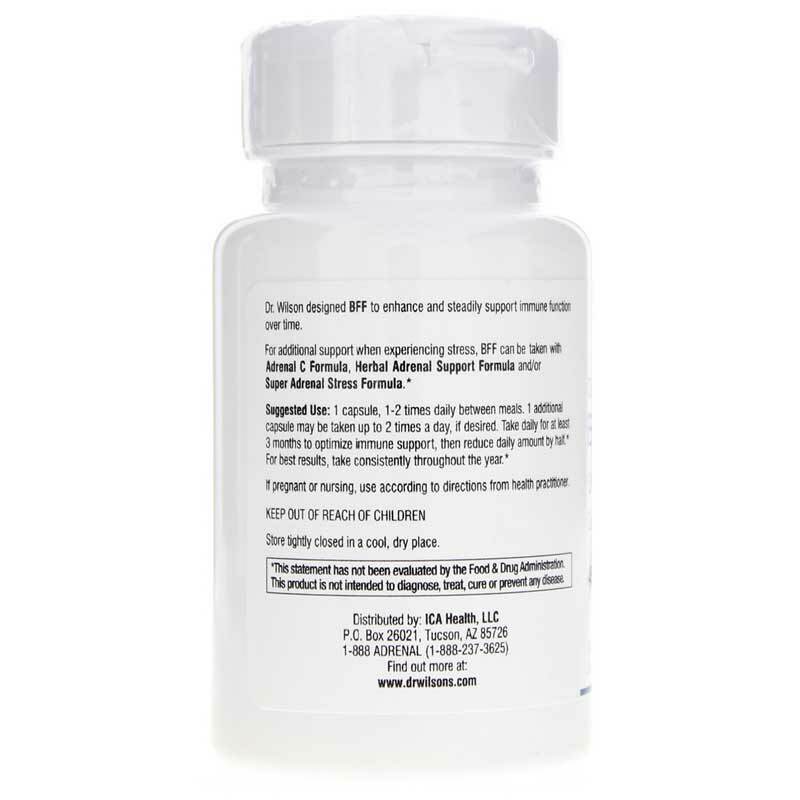 This unique formula naturally strengthens various aspects of immune function at a fundamental level. Suggested Use: Start by taking 1 to 2 capsules daily on an empty stomach. You may notice changes after 10 days or up to 3 weeks. Decrease dosage after 3 months. Boost your immune system naturally. Try BFF supplements. Other Ingredients: Tellurium metallicum 30C, Nitricum acidum 30C, Natrum muriaticum 30C, vegan capsules, rice flour, vegetable magnesium stearate, water. 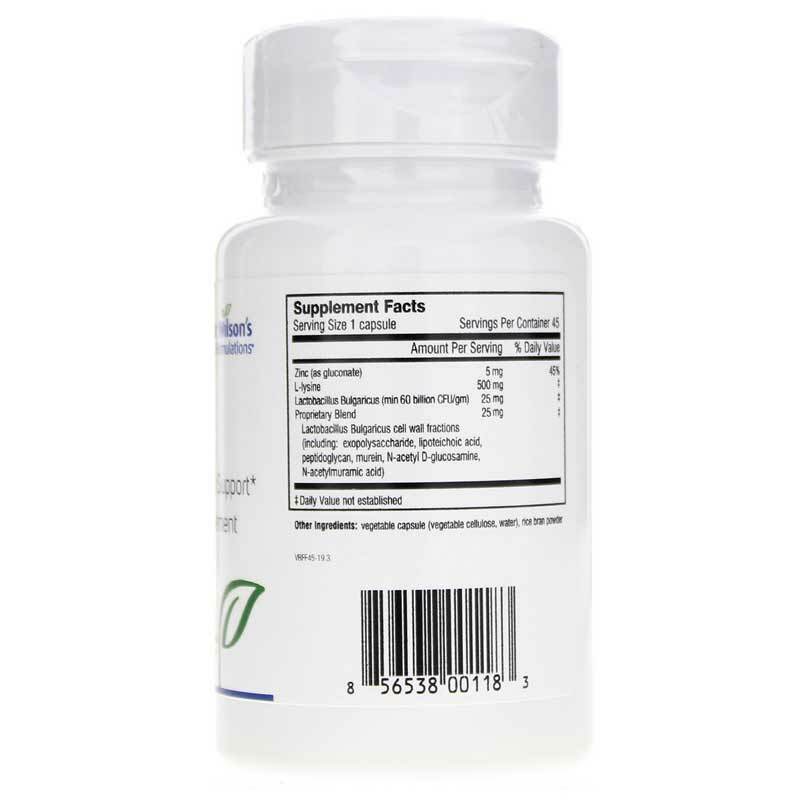 Adults: Take 1 to 2 capsules daily between meals. 1 additional capsule may be taken up to 2 times a day, if desired. Take daily for at least 3 months to optimize immune support, then reduce daily amount by half. For best results, take consistently throughout the year. This is an amazing product. My only objection is that to take one daily as a preventative gets expensive.